It is natural to accumulate belongings over the years, from buying books to keeping old clothes and getting new furniture to better match your new aesthetic and not knowing how to properly dispose of your older set. However, if collecting in your home or that of a loved one begins to get out of control, a case of hoarding may have developed. 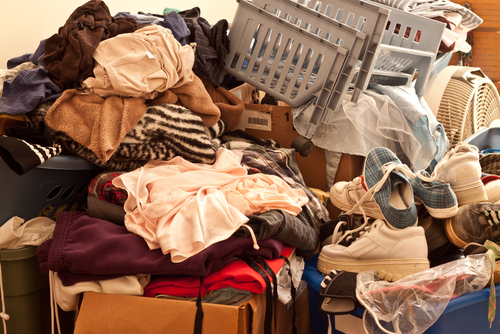 Hoarding is a common disorder that causes the individual to develop a mental or emotional attachment to items, refusing to part with even trash or broken things. Depending on the length of time it goes on, the person’s home can quickly evolve from being a little cluttered to messy and dirty. If the home is getting to be too messy to comfortably live in and move around in, you should contact a trained hoarding clean up service to clean the building out and fix any broken appliances, railings or steps, making the structure livable. Hoarding may be occurring when your loved one has a strong emotional attachment to items, both new and old. It can be connected to over shopping and compulsive buying for both too much of an item you need in your home as well as things that you have no real use for. Your loved one may also spend increasing amounts of time alone, ignoring phone calls, emails and even visits to the front door. It is important to make sure you have the support you need when you bring up the subject with your loved one. As well as a trained professional to lead the discussion, you should make sure you contact a team specializing in safe hoarding cleanouts. The team at Flannery’s Handymen will be able to come to the home with the proper equipment to safely clean the structure and remove any junk. For items the individual wishes to keep, we offer UFIL Storage Containers which can be kept on the property or in our storage facility. Our team will work with the utmost discretion to protect your loved one’s anonymity and protect them from embarrassment. To schedule a cleanout, contact Flannery’s Handymen by calling 781-775-9943 or by filling out our online contact form.